The Indian ashrams in Rishikesh are popular destinations for people who want to find a place for quiet meditation and yoga. 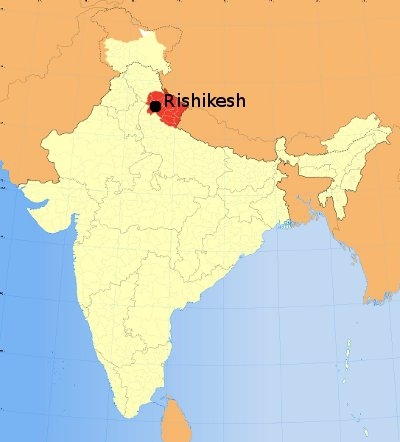 Rishikesh, now considered the Yoga Capital of the World, has become an attraction for people who seek spiritual instruction ever since the music band called Beatles visited one of these ashrams in the 1960's. Most ashrams are located in exquisite settings near the Ganges River, surrounded by tranquil hills and forests. Parmarth Niketen is the largest ashram with its 1,000 rooms, built in an 8-acre campus located along the banks of the Ganges River. It is one of the most popular yoga centers in Rishikesh, India, which offers classes with daily meals and Ganga aarti in the evening. The ashram conducts an extensive program for beginners in yoga, Vedic spirituality and heritage as well as training courses for teachers. Other visitors may attend their daily classes just by offering donations. This is the beautiful guesthouse of the international institution called Omkarananda Ashram Himalayas. It houses the prestigious yoga center, Patanjala Yoga Kendra, which specializes in Iyengar yoga. The center, located on the Ganges river banks at the Muni-ki-Reti area, offers yoga classes from Monday to Saturday, as well as Bhagavad Gita lectures. Daily aarti is done on the Omkarananda Public Ghat. Advanced reservations must be made for the intensive courses. Accommodations at Omkarananda Ganga Sadan are clean and reasonably priced with many rooms providing majestic river views. Founded by Swami Rama in 1966, Sadhana Mandir specializes in meditation according to Himalayan Tradition. Swami Rama is the author of many popular spiritual books, including Living with the Himalayan Masters. The ashram has a peaceful garden located on the Ganges river banks, away from the busy life in Rishikesh. You need to make advanced reservations to be able to avail of the various programs offered in the ashram. Founded by Veda Bharati, a follower of Swami Rama, Swami Rama Sadhaka Grama offers instructions on meditation according to Himalayan Tradition. This prestigious ashram is highly regarded for its scientific research on yogic meditation. The daily schedule in the center includes personalized instruction as well as individualized spiritual retreats. Accommodations are limited, so that only 100 guests can enjoy the comfortable bungalows at a time. They offer variable rates, which include daily classes and meals. As one of the ashrams in Rishikesh, Swami Dayananda Ashram was founded by Swami Dayananda Saraswati in the 1960s. Dayananda Saraswati is internationally recognized as a scholar of Sanskrit and a teacher of Vedanta. 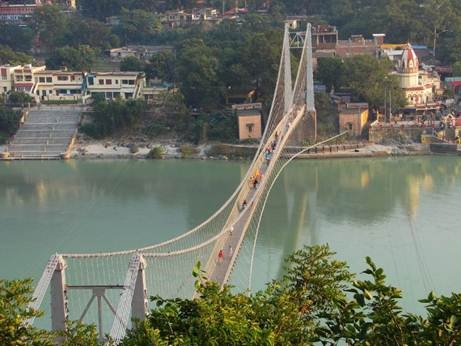 The ashram is located not far from the area of Ram Jhula with picturesque surroundings. Residential courses conducted here focus on Bhagavad Gita as well as the 10 principal Upanishads. Courses also include Vedic chanting. Visiting teachers offer Iyengar yoga classes that are suitable for beginners and other intermediate students. The ashram provides accommodations with bathrooms for more than 150 course students, and does not run its own guesthouse. Established by Swami Yogeshwaranand Paramahans, Yoga Niketan is located in the area of Muni-Ki-Reti. It offers teachings that are based on eight-fold path taught by the Patanjali yoga shastra. A 15-day stay is the minimum requirement for any of the courses offered. It also has a guesthouse where guests can stay for a shorter time and attend their daily classes. Room rates at the ashram range from 500 rupees/day for each Indian student and 900 rupees/day for every foreigner. Located near Kailash ashram, Madhuban Ashram has a beautiful temple of Lord Krishna. Madhuban Ashram is also popularly known as the Iscon temple because it follows Iscon tradition. This temple is visited by hundreds of devotees during the Janmashtami festival. The ashram organizes Rath Yatra yearly. Madhuban Ashram is managed by Sri Bhaktiyog Maharaj. The guest house has 20 rooms with air conditioners and basic facilities, except TV. It also has a restaurant called Govind ji’s Prasadam, which serves vegetarian food only, without onions or garlic. Swami Sivananda founded the Sivananda Ashram and stayed here for more than three decades. As one of the famous ashrams in Rishikesh, it is near Ram Jhula Rishikesh. Swami Sivananda, a physician in his early life, came to Rishikesh when he was 37 years old and started the ashram in a small cow shed. The organization, also known as Divine Life Society, specializes in Iyengar Yoga and offers daily classes except on Sundays. However, morning classes are held only for men, while evening classes are given for women. Early reservation for classes is required. Two month yoga courses, Pranayam classes, and meditation classes are also available. Maharishi Mahesh Yogi Ashram - also known as The Beatles Ashram – became popular after the music band visited the center to learn transcendental meditation in 1968. Their visit resulted not only in their learning a new vision in life, but also in introducing Indian spirituality, yoga and meditation to the western world. It also paved the way for Rishikesh to become the Yoga Capital of the World, to inspire and help people find peace and a stress free life. Unfortunately, the ashram closed after Maharishi Mahesh Yogi died. Phool Chatti Ashram is located five kilometers from Laxman Jhula, far from the chaos and noise of busy town life, yet still accessible. It is surrounded by the beautiful and natural forests, hills, sandy beaches and flowing waters beside the Ganges River. The Ashram combines ancient Hindu traditions with clean and modern comfort. The rooms offer simple furnishings for a perfect retreat from a world of clutter in modern life. Its Yoga and Meditation Program provide a broad introduction to the ashram life and yogic path. It recognizes a Westerner's desire for a tranquil ashram experience with a relaxed atmosphere and healthy food. We are all living in the gutter, but some of us are looking at the stars. Server responsed at: 04/18/2019 8:23 p.m.